According to the center, the murder was committed for political motives. It is indicated that the general was an active supporter of accommodation of the US Air Force units in Azerbaijan and the procurement of western combat aircraft for the Azerbaijani army. "Stratfor" believes that this killing could be considered as warning of Russia. The Baku's disregard on a number of issues could have pushed Russian to this step. Experts believe that the assassination of General Rzayev was committed by professionals, since the place where the incident occurred, is well-protected. 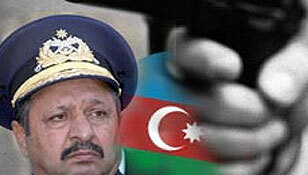 According to preliminary data, the commander of Air Forces of Azerbaijan was killed by one shot from a weapon of unknown brand. Some experts believe that the general was killed by a sniper.